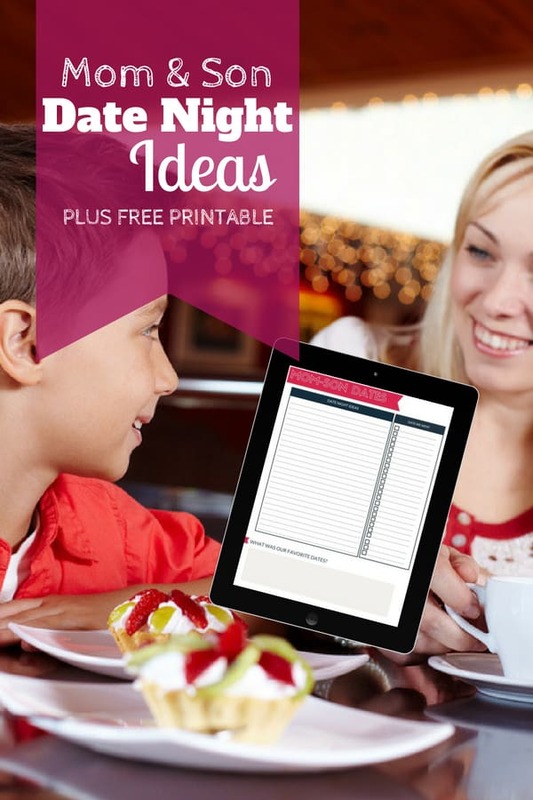 Mother Son Date Night – 25 ideas and free printable! Here is a list of 25 ideas for mother-son date night. 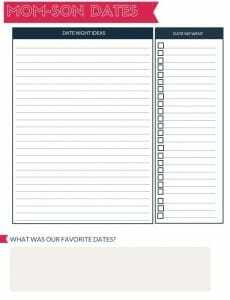 Take these ideas and put them into your free worksheet to create your own list of date nights with your son to create your own memories and go cross off throughout the year! Recently my son asked if we could pause our family activity of the month so he and I could have a mother-son date night each month. Even though its just the 3 of us, some kids just thrive on that one-on-one attention from a parent. So, we are back to having a separate a mother-son date night and mother-daughter date night every month. Without fail, each month he wants to do the same thing: go to the dog park, then choose a dog movie on Netflix and lay in my bed and eat ice cream. Just me and him. That’s it. Kids don’t ask for much sometimes when you can meet their core needs. Print off this mother-son date night worksheet from the resource library and fill out ideas with your son. Get his opinion of what he would like to do and what you’ll allow or what your budget will allow. Then either keep it on the fridge where you both can look forward to it or just keep somewhere handy so you can surprise him throughout the year with dates. When deciding what to do for your mother-son date night, think of ideas that encourage you to interact with your son. Try not to go to the park where he can play and you can sit. Think of it as filling up his bucket of quality time. Yeah, it will take some effort, but you don’t go on date with your kids every day. Make a special evening. Below are 25 mom-son date night ideas to get your juices flowing! Visit the animal shelter or animal store and hold puppies – boys just love ‘em! Go shopping together – boys like this too, just not always for clothes – maybe baseball cards or sporting stores or a toys store.